Launch sees the release of new three-bedroom townhouses and four-bedroom semi-detached villas. Sharjah Holding PJSC, a strategic partnership between Majid Al Futtaim - Properties and Sharjah Asset Management, today launched the final release of homes in the Al Lilac neighbourhood in Al Zahia, Sharjah’s premier lifestyle destination. Launched in 2017, Al Lilac, the third neighbourhood in Al Zahia, has been developed to suit current and future demand through well-designed spaces that meet the daily life requirements of a growing family. The first and second releases of Al Lilac included a variety of three-bedroom townhouses, four and five-bedroom villas and three-bedroom courtyard villas, while the latest launch will see the release of 108 additional homes comprising new three-bedroom townhouses and four-bedroom semi-detached villas. The new three-bedroom townhouse is the ideal option for growing families offering beautifully designed, open plan living spaces while the four-bedroom semi-detached villa offers an unparalleled sense of space and privacy, creating a stunning home with interior finishes and materials that reflect a new level of luxury. As reported by real estate consultancy Cluttons, Sharjah's villa market recorded an increase of 1.7 percent, taking the rate of growth to 0.4 percent during the last quarter of 2017. 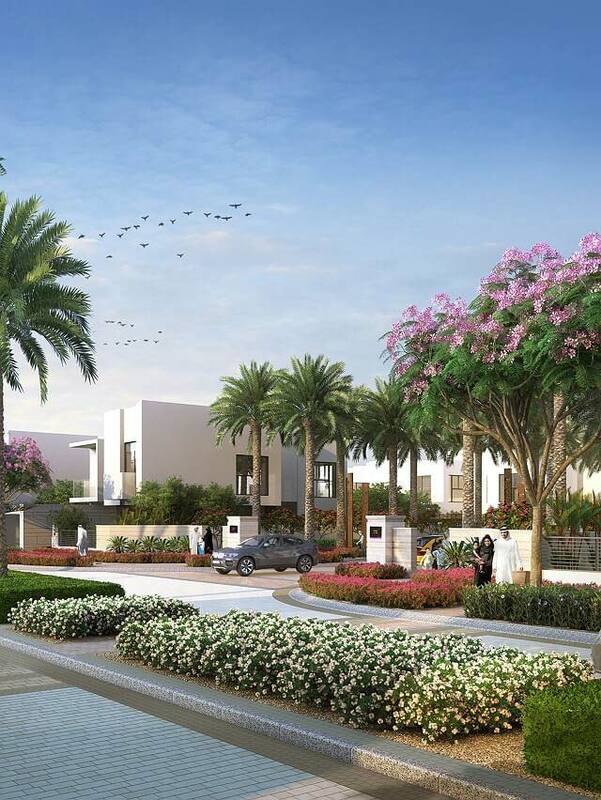 Cluttons mentioned that Al Zahia has been a runaway success, due to its integrated mixed-use lifestyle offerings. “The continued expansion of Al Zahia and its neighbourhoods demonstrates Sharjah Holding’s dedication to setting new standards for community living in the emirate. Through the development of sustainable and iconic living environments such as Al Zahia, we endeavour to drive socio-economic growth in Sharjah by inspiring the next generation of communities,” commented Walid Al Hashimi, Chief Executive Officer, Sharjah Holding. A new payment plan will be offered with Al Lilac neighbourhood latest release, allowing buyers to secure their homes with a 5% down payment, monthly installments thereafter and the remaining 75% on handover. Al Zahia has partnered with Sharjah Islamic Bank, Abu Dhabi Commercial Bank and Dubai Islamic Bank to provide buyers with flexible financing options. Envisioned as an idyllic residential neighbourhood, Al Lilac has been tailored to offer an integrated lifestyle for the entire family. Featuring new architectural designs that mix modern aesthetics with timeless details, the neighbourhood will be home to over 285 families upon completion in 2020. Al Lilac will also feature a number of amenities including an innovative 5,700 sqm Sensory Park with interactive sculptures and landscaped areas, as well as accessible pedestrian walkways and shaded pathways developed to create a sustainable living environment that fosters human interaction within the community. Strategically located between Sheikh Mohammed bin Zayed Road and University City Road, Al Zahia will be home to more than 12,000 residents when complete. As a premium lifestyle destination, Al Zahia offers its residents an integrated living experience with six themed parks, mosques and a variety of authentic food and beverage outlets. Community activities are a frequent feature of its parks, with children’s entertainment events and monthly outdoor film screenings organised in collaboration with Majid Al Futtaim’s VOX Cinemas. Al Zahia is also adjacent to City Centre Al Zahia, currently under construction and due to open in 2020. All facts and figures in this release are accurate at the time of issuance. Al Zahia – owned by Sharjah Holding and managed by Majid Al Futtaim Properties – is a milestone development that will help diversify the real estate sector of the Emirate of Sharjah. As Sharjah’s first integrated, mixed use gated community – rooted in the emirate’s values of family, community and culture – Al Zahia is on par with the high-quality, international building standards for which its developer, Majid Al Futtaim Properties, is known.